The first volume offers three "galleries" of individual poets—figures such as Mallarmé, Stein, Rilke, Tzara, Mayakovsky, Pound, H.D., Vallejo, Artaud, Césaire, and Tsvetayeva. 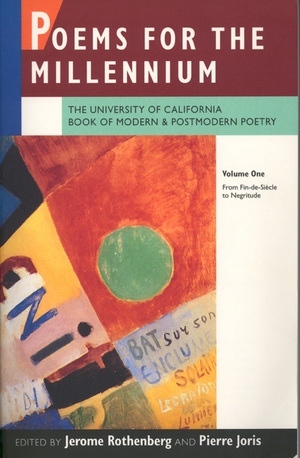 Included, too, are sections dedicated to some of the most significant pre-World War II movements in poetry and the other arts: Futurism, Expressionism, Dada, Surrealism, Objectivism, and Negritude. The second volume will extend the gathering to the present, forming a synthesizing, global anthology that surpasses other collections in its international scope and experimental range.